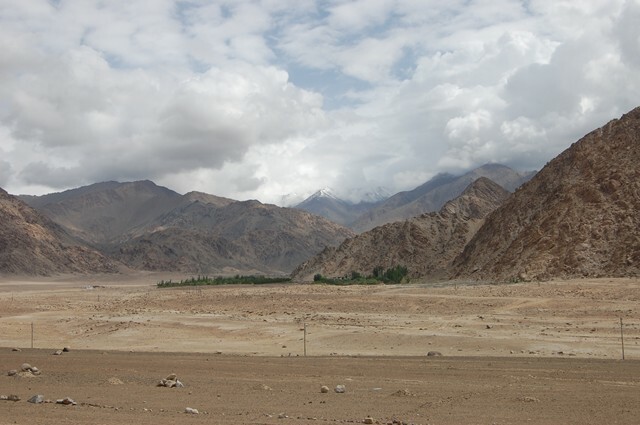 Leh is in the Northern-most part of India. 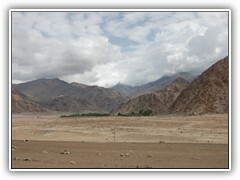 The Holy river Sindhu flows in this region. It is from the River Sindhu that India got its name. It is the cradle of Indian civilization. 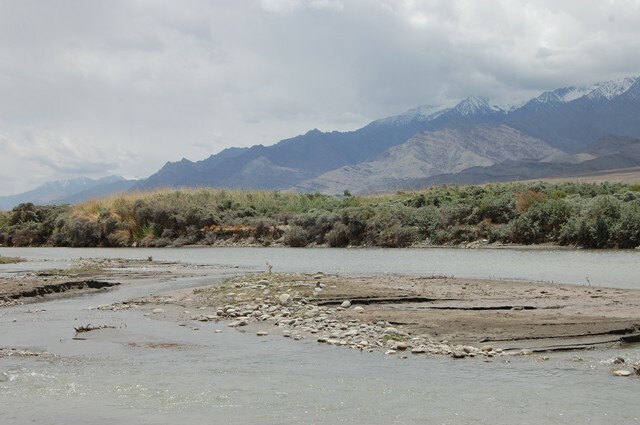 This ancient river is integral to our identity as a nation. There are seven Mokshapuris, fifty-one shakti Peeths and Twelve Jyotir Linga Kshetras in the country. Similarly, there are seven holy rivers as indicated in the Prarthana above, namely- Ganga, Yamuna, Godavari, Sarswati, Narmada, Sindhu and Cauvery. 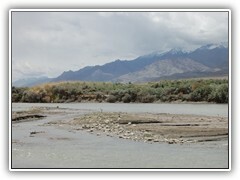 There are several references to this holy river in the Vedas. 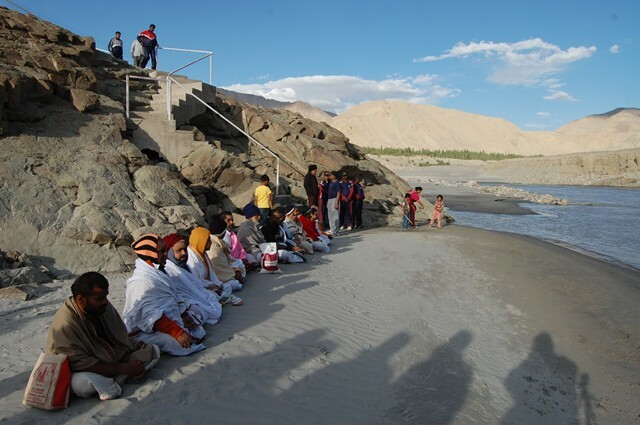 With the benign blessings of Their Holinesses Pujyasri Shankaracharya Swamijis of Shri Kanchi Kamakoti Peetham, a Viswa Shanti Yagna and Veda Sammelan was organized on the banks of the holy Sindhu river in Leh, Ladakh, in the State of Jammu&Kashmir. 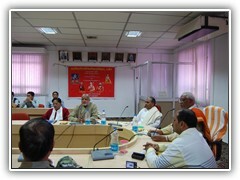 The programme commenced on 16 July 2012 – an auspicous day on which the Dakshinayana Punya Kaal began. Vedic scholars performed the Sindhu Snaan and for the first time, SINDHU HARATI was performed on the lines of the Ganga Harati which is performed on the banks of the river Ganga. Rig and Yajur Parayan was performed in two sessions everyday - in the morning and in the evening. Havans were performed following the Parayan. In the evening, spiritual discourses were given by the scholars. On the 20th, the programme concluded with Poornahuti and Vidwat Sambhavana ( Honouring the participating scholars). 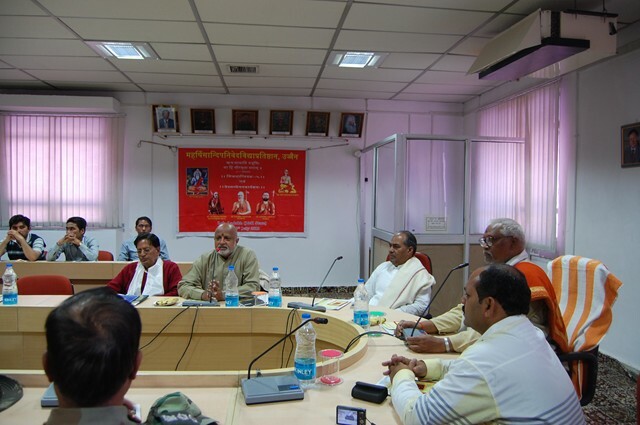 The Maharshi Sandipini Rashtriya Veda Vidya Prathishthan, Ujjain, co-sponsored the Veda Sammelan. The Prathishthan's Vice-Chairman Shri Sudarshan Sharma and Secretary Shri Roop Kishore Shastri participated in the Sammelan. 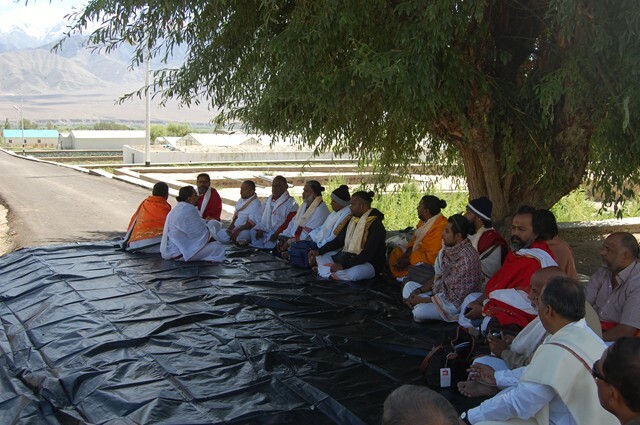 Note: The first Vishva Shanti Maha Yajna was performed at Mata Shri Vaishno Devi Shrine and in Jammu from October 28th to November 2nd, 2010 by the efforts of Shri Kanchi Kamakoti Peetham as well as Tirumala Tirupati Devasthanams. The second Maha Yajna was performed at Zeashta Mata Mandir, Shrinagar, Kashmir. 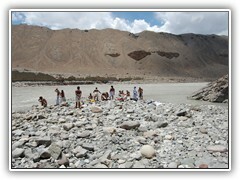 The Third Yagna was done at Mata Khir Bhavani Mandir in Shrinagar, J&K from 1 to 9 October 2011. 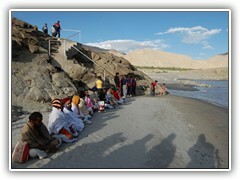 The fourth Yagna was performed at Ganga Sagar and Siliguri from 5-8 June 2012.